The human body requires many different vitamins and minerals but apart from the general fact that they are good for you, I couldn’t tell you the specifics of more than a couple i.e. what biological function they fulfil and why we need them to keep healthy. So I thought I would do a bit of research into some of them to improve my understanding. 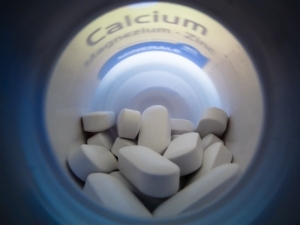 I take a calcium and vitamin D3 supplement, because I use some medication that carries a minor risk of osteoporosis, and having run out recently I acquired a new pot of calcuim which also contains magnesium. Now I did a little bit of research separately and found that magnesium could supposedly improve energy levels, and possibly reduce the risk of tension headaches – two things that would help me, and so when I came across the joint calcium and magnesium supplement I thought it would be a good idea. I did a bit of internet research to try and find out if such products are beneficial or not, and some people say yes, and some no, so I think the best thing to do is provided the supplement you have in mind is not harmful, to give it a go and see how you feel. So far I feel okay! I have only had one major headache since taking the tablets and that was probably down to the high humidity levels at the time. Anyway, magnesium was meant to be my focus here. What does it actually do? So it has a diverse number of functions, and I can see from the above list that relaxation and energy production should in theory help to reduce headaches and increase general energy. Who might benefit from a magnesium supplement? If you want to get magnesium the natural way which foods is it contained in? I do eat some of those foods – bran flakes and wholemeal bread and red meat, but I don’t know if I eat enough of them to get my magnesium quota. Tofu and lamb’s kidneys do not feature highly in my diet it has to be said! I always find if I track my diet that on a good day I eat all the nutrients I need, but on a bad day which happens every now and again, I can end up eating no vegetables, too much processed food and sugar and consequently on average I may not meet the required targets on my own. I shall see how I feel in a couple of months when I’ve finished the pot of vitamins and then decide whether or not to continue with the additional magnesium supplement. Does anyone else have any experience of taking magnesium?